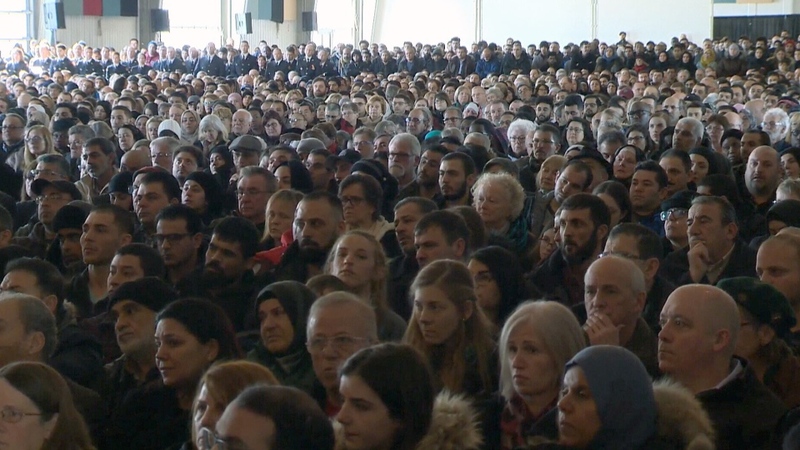 HALIFAX -- The massive turnout at a funeral for seven young victims of a devastating house fire shows that Halifax is uniting in support of the surviving members of the family, according to the spiritual leader of a local mosque. More than 2,000 people showed up to the service at the Cunard Centre on Saturday, which was held in memory of the Barho children who died in the early hours of Feb. 19 when the blaze ripped through their home. "The accident affected all people," said Imam Abdallah Yousri of the Umma Mosque, noting that every seat in the cavernous hall was filled, while hundreds remained standing in solemn grief over the young lives lost. The Barho family arrived in Nova Scotia in September 2017 as refugees from war-torn Syria, among 1,795 Syrian refugees who have come to Nova Scotia in recent years. On Saturday, as the seven small caskets were brought on stage, the children's mother, Kawthar Barho, could be heard sobbing. Mourners wept as the children's names were read: teenager Ahmad; Rola, 12; Mohamad, 9; Ola, 8; Hala, 3; Rana, 2; and Abdullah, who was born in Canada on Nov. 9. Yousri said the service was made public so the children's mother could see firsthand that the community is standing behind her. "We wanted to accommodate the community ... and show Kawthar the support that we saw from the community," he said. "We wanted her to see that, and we thought that the support might help her recover sooner." The father, Ebraheim Barho, continues to recover from extensive burns. As of Friday, he was in critical but stable condition. When they first arrived in Nova Scotia, the Barho family lived in Elmsdale, a 30-minute drive north of Halifax, where they were embraced by the local community. 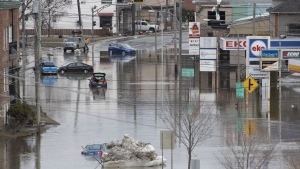 They later moved to the Halifax suburb of Spryfield to take advantage of language training and other immigrant services, but had planned to return to Elmsdale next month. The cause of the blaze in their Spryfield home remains unclear. The response to the tragedy has been swift and impassioned: several businesses have donated their profits to the Barho family, and as of Sunday afternoon, a GoFundMe campaign has raised over $620,000 of its $1 million goal. The federal government has also said it's trying to bring Kawthar Barho's overseas relatives to Canada as quickly as possible, since she has no other relatives in the country. Yousri said more than anything, the grieving mother needs to be supported and loved. "Pray for her future and to be able to recover, and give back to herself and laugh again -- especially while Ebraheim is still in the hospital," he said. People gather for funeral of seven children killed in fast-moving Halifax fire.